I like this golden wild beauty!! You’re probably the first person in the world to call two-leaf senna a golden wild beauty. You’d make a good publicist for our native wildflowers. With you as their photographer, they all look like beauties. We have a senna somewhere around here but I haven’t gotten around to finding it and drawing it. I actually have always liked sennas. Thanks for your photographic vote of confidence. I hope you find your senna soonna rather than lata. And when Ah do, I shall leave you know. It is, and viewing it in nature is free. Instead of stop and smell the roses it’s stop and see the senna. 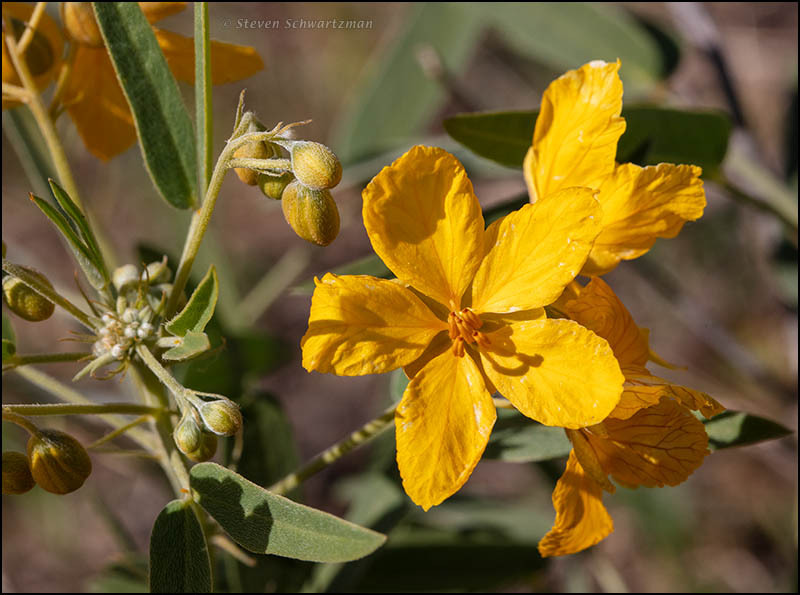 This is really interesting that there’s an endemic Senna from Texas. This is a genus I began to cover ever since I was in PR, however, since I’ve been here in Florida I realize it is rather extensive, so there’s even more fertile ground to explore the ones here. Most flowers seem to have similar traits. The two leaflets is what characterizes this one. Thanks. The twin leaflets, as you also noted, are a give-away in identifying Senna roemeriana. It’s not uncommon here, but in my experience Senna lindheimeriana is more common in central Texas. These seem like the smallest I’ve seen. The native one here is called Senna mexicana, and there are others too. For me, too, it was the smallest and lowest Senna species I’ve seen. I looked up Senna mexicana and found that in the United States it’s native only in Florida. This is lovely. I’ve only seen the Senna lindheimeriana, but I was lucky enough to see both the living plant and one of Lindheimer’s own herbarium sheets featuring “his” senna when the Lindheimer exhibit was at the Sophienburg in New Braunfels. It’s fun that this one bears Roemer’s name. Of all the botanists that traveled Texas in the 1800s, I’d have to say these two are my favorites. I’m glad you mentioned the Sophienburg Museum because I wasn’t aware of it. In fact, even though New Braunfels is little more than an hour away, I’ve rarely spent time in the town. presents him as a geologist. links him to flora and fauna as well as rocks. Hey, I HAVE seen that one (I think) half way across the continent! A friend grew it from seed from Texas or Oklahoma. I recognize the species name. I do not know what is so special about it; but then, you would not understand what is so important about the seeds I brought back from there either. Oops. I just looked up the name of the senna that was brought here, and it is not the same. I thought that name was familiar.